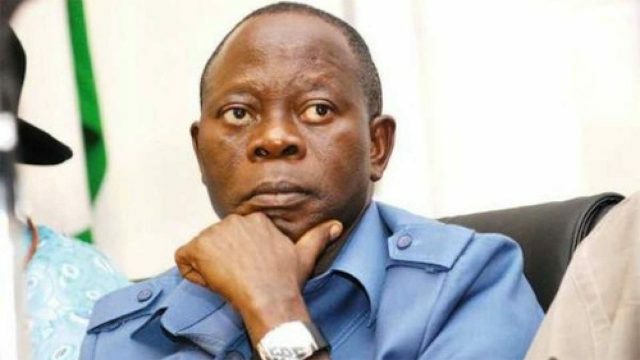 Edo governor increases workers’ minimum wage to N25, 000. He also promised prompt payment of outstanding arrears of salary to the staff of Local Government Councils in the state. Oshiomhole who made the announcement on Sunday at the grand finale of activities to mark the 2016 Workers Day, said that plans had also been concluded to pay staff of Egor Local Government Council who were being owned 13 months arrears of salary, within the next two weeks. Explaining why the council was omitted from the bailout to local government councils in 2015, he gave the assurance that the Edo Government had been meeting with the Central Bank of Nigeria and that within the next two weeks, the funds would be released and staff of the council would be paid in full. He also explained the reason behind the non -appointment of Caretaker Committees for the 18 local government councils in the state, after the end of the tenure of the immediate-past local government chairmen. According to him, “rather than appoint caretaker committees for the councils and pay them because they are politicians, we directed the Heads of Personnel Management in the councils to hold forth, so that those monies would be used to run the councils and pay salaries,’’ he said. The governor said even if the price of oil goes to zero per cent, Edo workers would get their salary alerts before the end of every month. He assured that he would not use his office to put hardship on any of his workers. Earlier, the State Chairman of the Trade Union Congress (TUC), Mr Orhue Marshall, appealed to government to enlist workers in the state in the National Health Insurance Scheme (NHIS). According to him, this would enable them to have access to quick and cheap medical facilities, like their colleagues in the Federal Public Service.